Reiki Share is a fantastic opportunity for everybody to get to know the Divine Energy of Reiki. After each course, I offer the opportunity for all participants to organise a Reiki Share session. 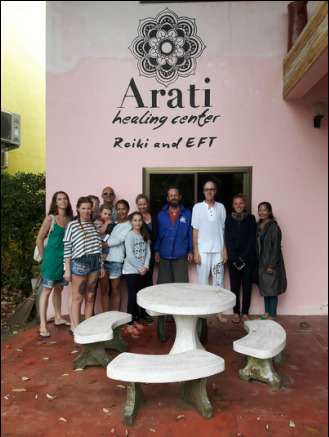 That means, course participants have the chance to invite their friends to the ARATI HEALING CENTER to practice Reiki on them under my supervision. It is also an opportunity for everybody interested in Reiki to come along to receive the Divine Energy for free and hear from the course participants about their experience. Please check back regularly under Latest, for upcoming Reiki Share opportunities.